Hey everyone! If you’ve been following the GIOGO girls (and I don’t know why you wouldn’t be – they’re awesome!) 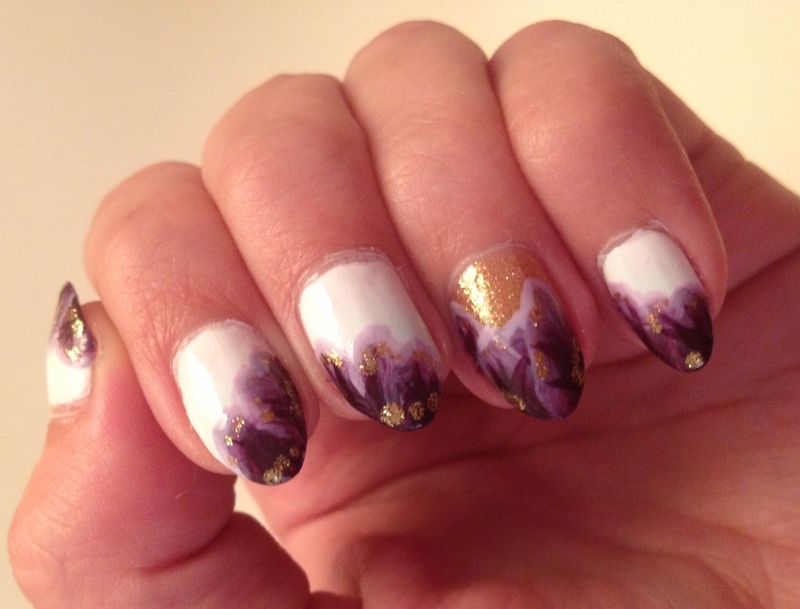 then you’ll know that today is International Nail Art Day! It’s obviously cause enough for some celebration here at ManyManis, but August 3rd also happens to be my dearest mother’s birthday! I tried and tried to plan the perfect, super extravagant look to fit this wonderful day but couldn’t settle on one idea. Instead, I give you multiple manicures to celebrate! 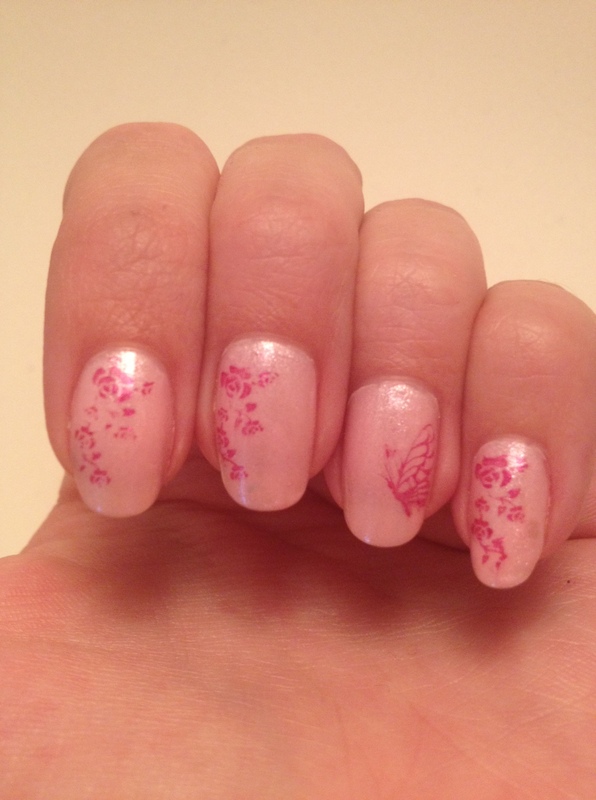 First up: Butterfly and floral stamping using Julep’s Audrey and Lauren. And the next: another one-stroke flower attempt using OPI’s Goldeneye and Rumple’s Wiggin’, Zoya’s Snow White, and Sally Hanson Complete Salon Manicure’s Plum Luck. 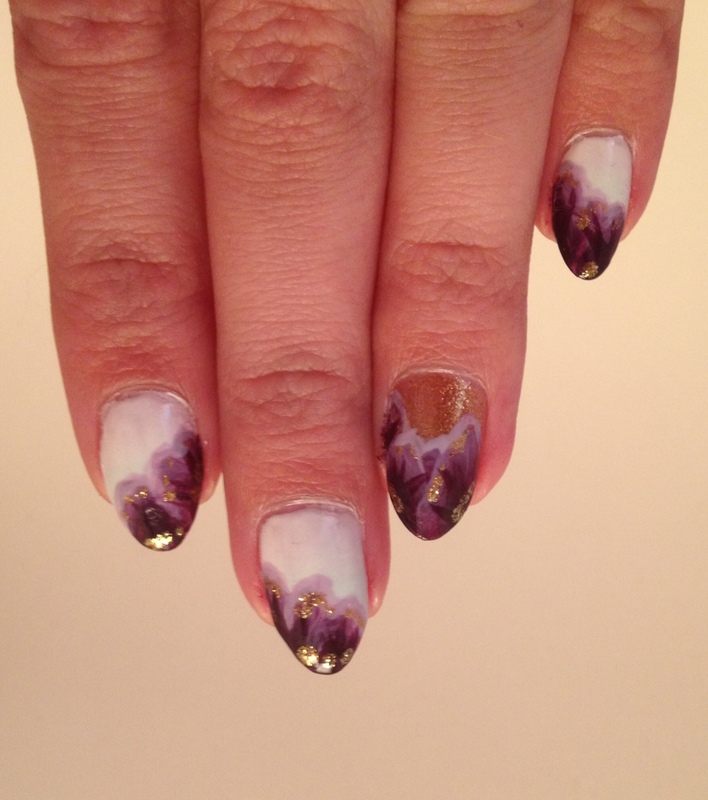 And last (also my current mani! 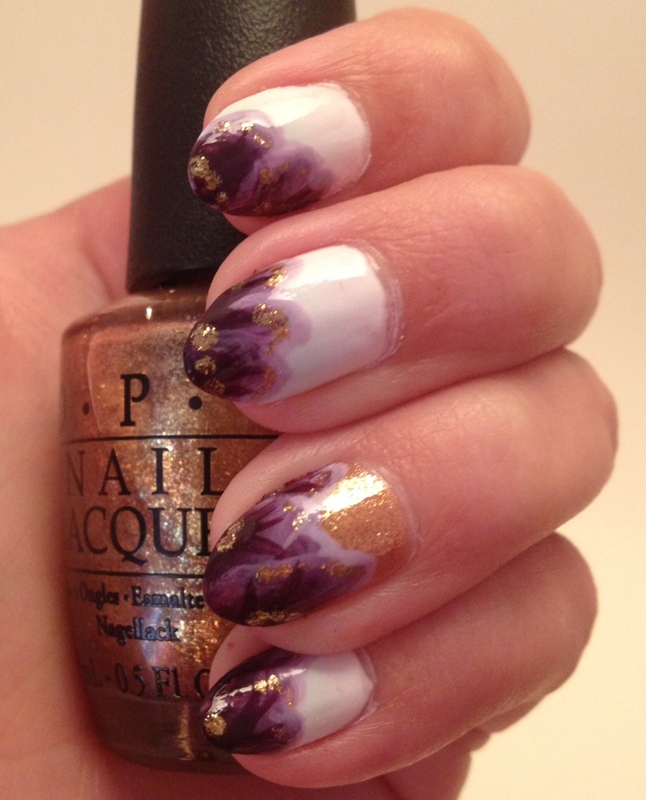 ): a gradient with polka dot outlines using Julep’s Susie, and OPI’s Rumple’s Wiggin’. That’s all for now, folks. How are you celebrating this beautiful day? I have long been in awe of and intimidated by the one stroke technique for about a year now. I put off trying it by using the excuse that I didn’t have the right brush for the job, but since my birthday this past winter, that’s no longer valid. Even so, this past weekend was the first time I ever tried the one stroke technique and I must say I’m pretty proud of the outcome! 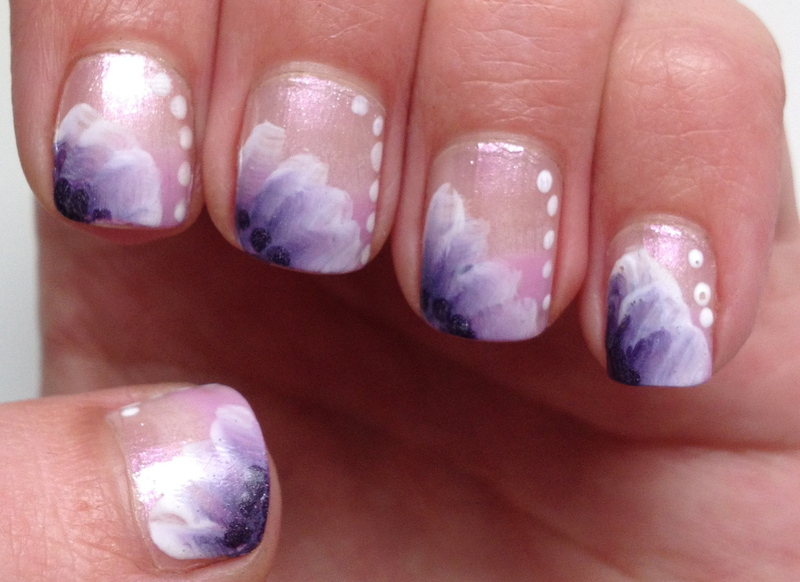 I started with a gradient using OPI’s Pearl of Wisdom and Lucky Lucky Lavender before adding the flower petals in each corner using Zoya’s Snow White and A England’s Lady of the Lake. 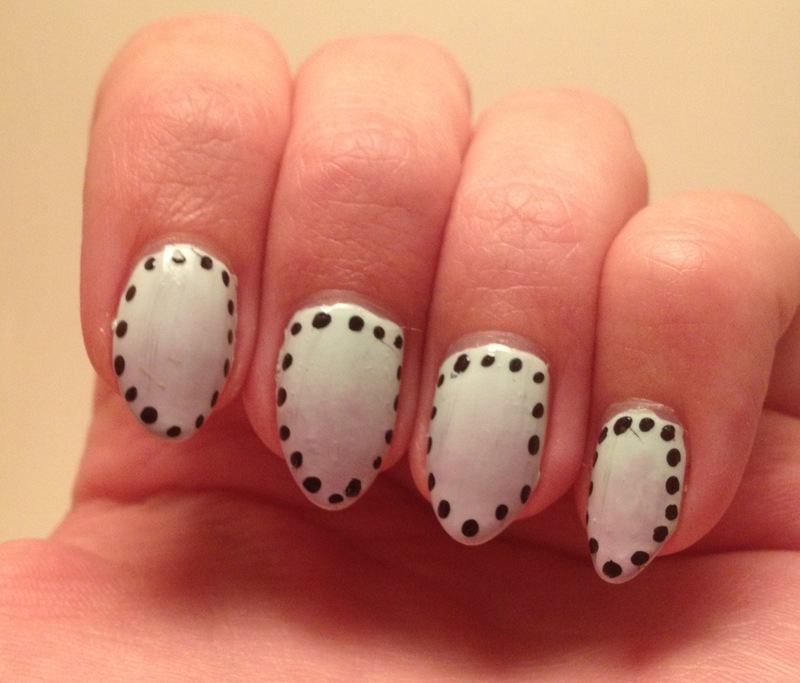 Feeling like that still wasn’t enough, I added the dots around the other nail edge using a dotting tool.